CHIANG RAI, Thailand — After 17 long nights trapped in a dark and damp cave, four remaining boys and their soccer coach were freed one-by-one by divers in Thailand on Tuesday. Rescuers started the day hoping to help the final five who had been stranded for more than two weeks reach the surface and safety. The first of the group emerged Tuesday afternoon local time with the others following soon after, ending an eight hour and 10 minute operation. “We are not sure if this is a miracle, a science, or what. All the 13 Wild Boars are now out of the cave,” the Thai navy SEALs posted on Facebook, referring to the name of the boys’ team. The medical condition of the boys rescued Tuesday was not immediately known. Officials previously said that the healthiest boys would be brought out first. The complicated operation started Sunday when expert divers rescued the first four boys. They then went back in on Monday and retrieved four more. With experience under their belts, Tuesday’s operation was completed hours faster than before. 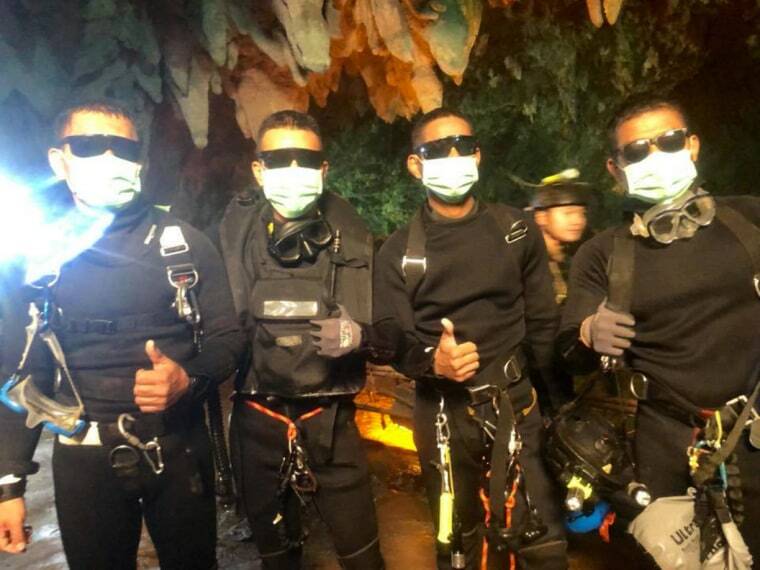 A medic and Thai navy SEALs who had stayed deep inside the mountain since the 13 missing males were found on July 2 also needed to navigate the narrow, water-logged passages in the cave complex. All successfully returned to the surface Tuesday. “We have finished successfully something that nobody thought could be done,” Chiang Rai Gov. Narongsak Osottanakorn told a news conference after the operation was completed. The boys vanished on June 23 with their 25-year-old coach after seasonal rains flooded the caverns and narrow passages, blocking their exit from the popular tourist destination. Nine days later, two expert cave divers found the trapped group.